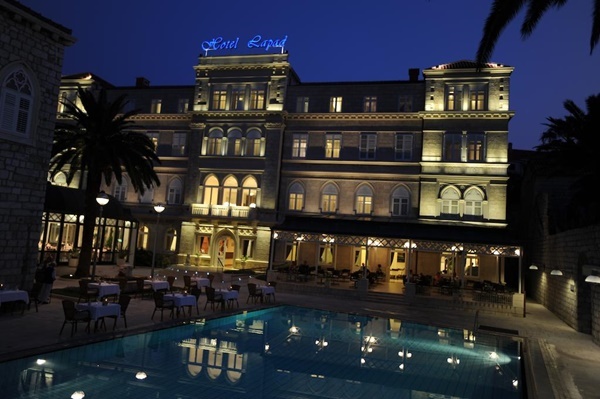 Hotel Lapad Dubrovnik is one of the oldest hotels in Dubrovnik, built in 1911. The new wing was constructed in 1986. The hotel is completely renovated in 2008. 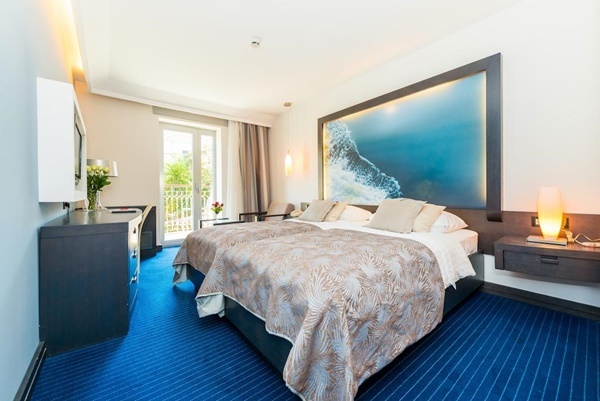 This hotel is ideal choice for those who comes to Dubrovnik for summer holidays or just a weekend break. There are also 2 rooms especially designed for people with disabilities. Room amenities include en-suite bathroom, satellite TV, mini bar, safety deposit box, hair-dryer, direct dial phone and Wi-Fi Internet access. Hotel's main restaurant serves buffet breakfast, lunch and dinner. The perfect place to refresh yourself is the pool bar which offers a great choice of juices, wines, cocktails, beers, cakes and light snacks. In the evening you can enjoy live music or a DJ. The lobby bar, located just across the reception, is a cosy place ideal for coffee break. Hotel Lapad Dubrovnik has a great location, within walking distance to many beaches located along Lapad bay. From the hotel you can easily reach Babin Kuk beaches by city bus No.6 (5 minutes bus ride). Hotel Lapad has an outdoor pool with deck chairs and parasols for use of the guests. Hotel Lapad Dubrovnik offers exclusive full-day excursions to the Elaphiti archipelago (beautiful islands in the vicinity of Dubrovnik). Hotel's boat can accommodate 12 people and departs in front of the hotel. Tickets for the tours can be purchased from the hotel's reception. Live music and pool parties can be enjoyed 5 days a week from June to September in the hotel. Private parking is possible at a location nearby (reservation is not needed) and costs €8 per day. The conference facilities are located in spectacular palace Piccola Venezia and consist of multifunctional conference hall Venezia which can hold up to 150 participants and 1 meeting room for up to 10 participants. Hall can be divided into 3 independent segments (rooms) of different capacities. FROM DUBROVNIK AIRPORT: Take the airport shuttle bus to Pile Gate. From there take city bus No.6 and travel until 8th stop. The bus stop is just in front of the hotel. FROM DUBROVNIK PORT/MAIN BUS STATION: Take bus No.7 and get off at the bus stop close to Grawe center. From there cross the road and reach the bus stop in front of "Tommy" grocery store. Take bus No.6 and get off at Lapad bus stop. FROM OLD TOWN: Take bus No.6 and get off at 8th bus stop.